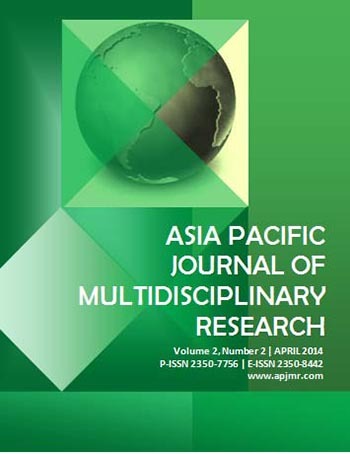 The Asia Pacific Journal of Multidisciplinary Research is open to the global community of scholars who aspire to have their researches published in a peer-reviewed open access and print journal. 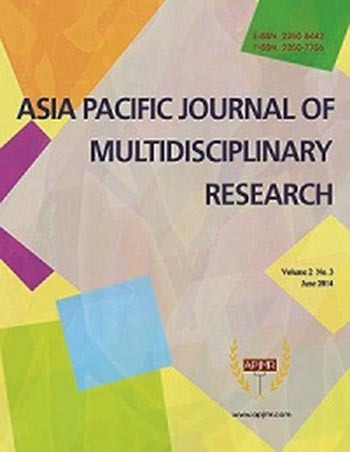 The primary criterion for publication in the Asia Pacific Journal of Multidisciplinary Research is the significance of the contribution an article makes to the body of knowledge. 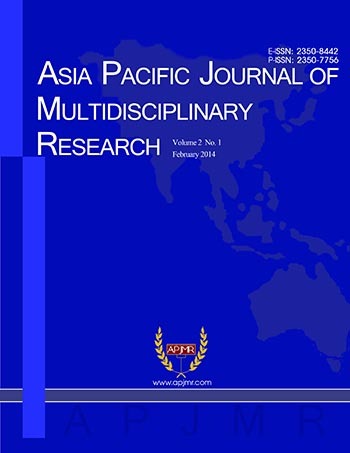 It is an opportunity particularly for researchers in different field of specializations to share their scientific materials to the global community. The efficiency and effectiveness of the editorial review process are critically dependent upon the actions of both the research authors and the reviewers.